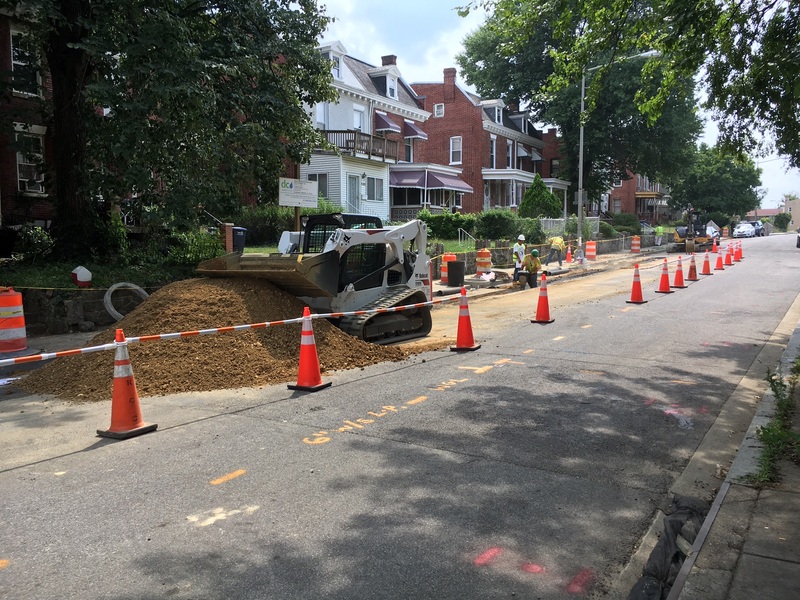 DC Water Main Replacement Has Begun | Park View, D.C. I previously reported that DC Water would be replacing existing 12-inch and smaller cast iron water mains on Park Road and Morton Street between Georgia Avenue and Park Place. That work began earlier this week at the intersection of Park Place and Park Road, as shown by the photo below. This entry was posted on July 21, 2017 at 7:01 am and is filed under DC Water, Restoration repair and maintenance, Streets and Trees. You can subscribe via RSS 2.0 feed to this post's comments.